Asparagus is popping up as the weather warms and is one of our first signs of Spring. 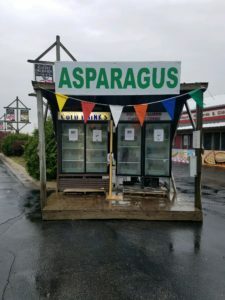 We were inspired to share a few tips on how to pack, store and cook this Vitamin K and Fiber rich vegetable after a recent visit to Klackle Orchards. 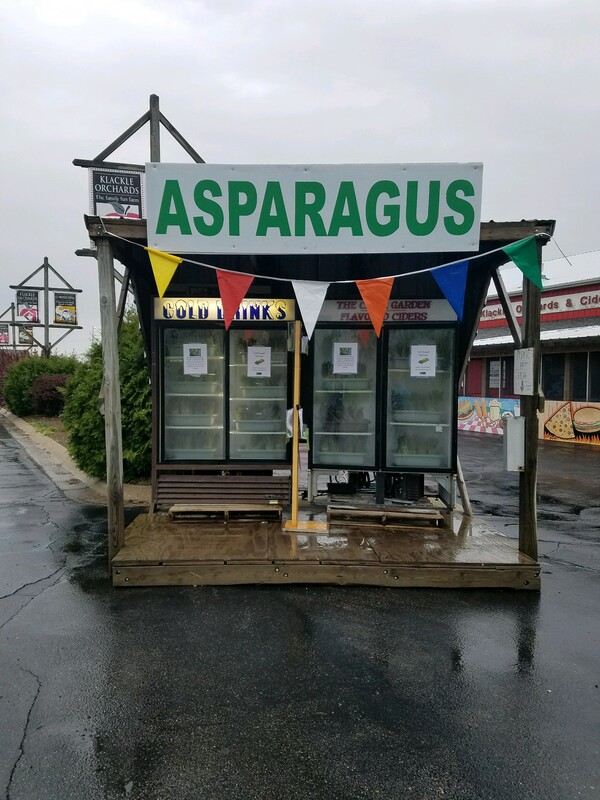 Pack asparagus vertically into shipping containers with ventilation slats and absorbent pads that go under the spear bases or perforated plastic bags stored vertically. 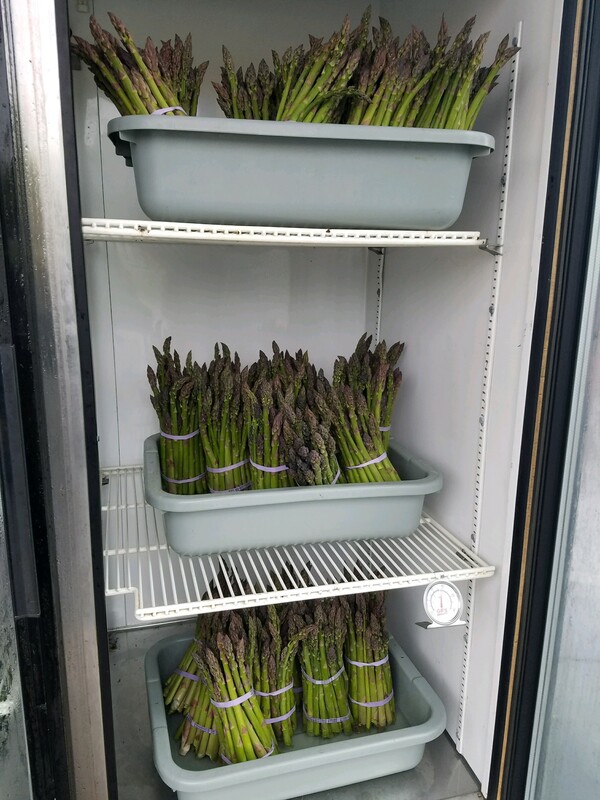 Asparagus spears will bend, especially at high temperatures, which is especially noticeable if spears are packed horizontally. Vented packaging allows for dissipation of ethylene gas produced by the spears, which can cause toughening and bitterness. 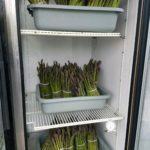 Rockford Package Supply offers Asparagus bands, cartons and pads. Check out our packaging essentials here. Stand the asparagus up in a glass or jar with about an inch or two of water, making sure all the ends are sitting in the water. We've found that a 2-cup measuring cup is a great container. Loosely cover the asparagus with a plastic bag and store in the refrigerator for up to a week. Our favorite way to enjoy asparagus is grilled and this recipe couldn't be easier. 1.) Wash your asparagus and snap off the dry/woody ends. 2.) Lightly coat the asparagus spears with olive oil. Season with salt and pepper to taste. 3.) Grill over high heat for 2 to 3 minutes, or to desired tenderness.